Three ways to change your habits and get healthier and happier now. Schedule a free 50 minute coaching call. We all need guidance, encouragement, and support when we learn new skills. Explore your unique needs and identify the necessary skills to achieve the change you want to see. Try it! Your first session is on me. Check out Awake at the Meal: A Blog that provides tips, techniques and success stories to support your journey to becoming your bad a** self. Find quality information and inspiration, while accessing simple secrets and special support to change your life. Please call me at 310.489.5031 or send me an email if you have any questions about coaching. I am here to help! How would you score your eating and nutrition habits? Find out with this cool tool! After using this tool, you will know which habits to keep; know which ones to change. Fast, informative, and fun. Success! I am excited to share this 'cool as a cucumber' nutrition tool with you. 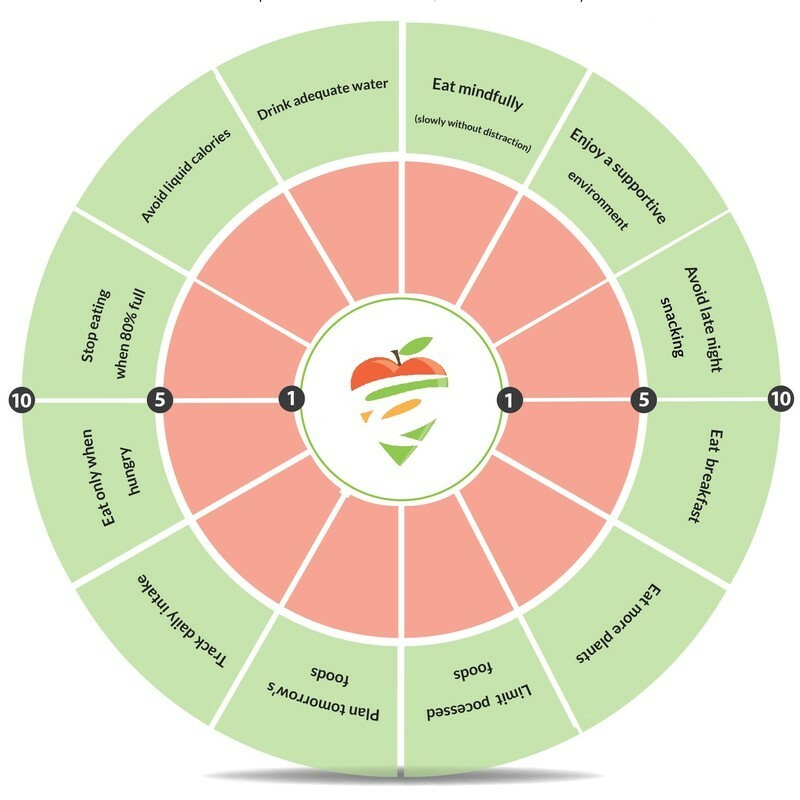 Check your inbox to download your very own copy of the Nutrition and Eating Habits Wheel. Yes, send me the tool!